and his claim for 6 billion dollars against the Russian Federation. Former owner of Mezhprombank and ex-member of the Federation Council of Russia, Sergei Pugachev demands from Russia 6 billion dollars of compensation at the International Tribunal on the hearings in the International Chamber of Commerce (ICC) in Paris. The ruling is expected to be issued in May. Former “personal friend of Vladimir Putin” and “Kremlin’s banker” Sergei Pugachev gave an interview on air of Radio Svoboda. Also in this program vice editor-in-chief of the Profile magazine Alexei Mikhailov and a local editor of Organized Crime and Corruption Reporting Project Roman Shleinov. The program is hosted by Mikhail Sokolov. investigative journalist, Roman Shleinov and vice editor-in-chief of the Profile magazine, economist and former chairman of the State Duma, Alexei Mikhailov. Good evening, Sergei. First of all, we would like to find out what do you want to achieve with this yet another proceeding against the Russian state – personal moral satisfaction or actual money? Sergei Pugachev: Primarily this claim and the Hague Tribunal itself are not there to provide some moral satisfaction, but rather to get justice, unveil the truth, that’s what the Tribunal exists for. And clearly, I intend to achieve both. Mikhail Sokolov: You are well aware of the previous stories, the Noga firm, Khodorkovsky’s partners, YUKOS shareholders. They haven’t achieved anything after all their long-lasting proceedings. Is there something that makes you more optimistic? assets and getting deposits from the Russian Federation so that it would be before and not after that we will need to go around some local courts and demand seizure of some buildings. Like YUKOS seized an orthodox temple in Nice among other. Mikhail Sokolov: Roman, I suppose you also have questions for our guest? businessman had to leave the country was unexpected, at least for us, unexpected and very sudden. It does happen in Russia but not very often. The first question that immediately comes to mind: everything has been going okay for so many years and then suddenly – such a tragedy. Why? What happened, what caused the sudden conflict with Russian authorities? Mikhail Sokolov: And with Vladimir Putin in particular. everything went alright for so many years and then suddenly something happened, it doesn’t only relate to me, but to all the society. We could say that it all was alright for many years and plenty of people did like Putin, but something happened. It’s hard for me to talk of any reasons because in a way I had a very close personal relationship with Putin. I wouldn’t say we were like-minded, we never were, that’s for sure. We weren’t friends but it just so happened, for a long time I was in politics, I remember even Gorbachev and Silaev, and Yeltsin with all his inner circle. With my help amongst other things Putin later became president of your country. Yours, because I’m a itizen of Russia but not of Russian Federation. This situation wasn’t sudden for me, for me it was obvious, I was going to leave and I’ve talked to Putin about it. I understood that there would be no future to business or anything else whatsoever after 2006, or even earlier. experience of interacting with authorities? Sergei Pugachev: First of all, I wouldn’t call Sergei Veremeenko a friend of mine, he was just the bank’s director. Yes, Putin asked me to put somebody against Murtaza Rakhimov. Even though Putin knew that if do something, I always try to do it well. I warned him. Even though I had wonderful relations with Murtaza Rakhimov, I told him that there was a chance that Veremeenko could win. After that moment, it became clear that he really had huge chances of becoming president of Bashkortostan. Putin then asked me not to get involved in this situation, passed in on to Dmitri Medvedev and Vladislav Surkov, they took further charge of it, were asking him to write some kind of statement, to leave, to resign, promised him various honors and other things. So, a typical Russian political story. I wasn’t taking a big part in it to tell the truth. Mikhail Sokolov: But why didn’t they entrust Veremeenko with power in Ufa? Did they want to get some assets, financial or economical items from Rakhimov? Rakhimov’s son and so on. Putin of course expected that it would just fall into his own hands. It just didn’t, and to my knowledge this process still hasn’t ended. Mikhail Sokolov: Yevtushenkov was in a different situation than yours. Seems like he did something at the wrong time, spent some time under arrest and had to give up Bashkirian assets. So, you managed to leave just in time? against someone of his close circle, by that I mean him and Medvedev. Alexei Mikhailov: I have a question about the current case, about the six billion that you claim from the Russian Federation. As much as I remember, the last time Forbs published the estimation of your personal wealth in 2009 or 2010, it was about two billion. And now at the Hague Tribunal you are estimating your losses at 6 or even 12 billion dollars. Where did such a difference in numbers come from? I suppose, maybe those 12 billion was under your direction? and the others are part of business. So I wouldn’t set up my mind based on all these stories. 12 billion dollars is a basis minimum that is to be estimated, this is the assets that Putin asked me to sell for this price, all the documents were signed, and at the end I wasn’t paid. So I don’t know what Forbs said, maybe they meant that I had 2 billion on my account. It’s true, I really did have even more, two and a half billion on my account at the time. I never talked to Forbs, Forbs never asked me anything, never asked me to provide them with any kind of reports. Alexei Mikhailov: So was it 6 or 12 billion? Sergei Pugachev: 6 billion is interim measures, 50% of the claim. There will be a proceeding when we will count the total amount upon the results of the hearings and then we’ll see which it would be, 12, 15 or 20. Then it will be clear. Mikhail Sokolov: You are saying that there were some documents. What are they, these documents, do they really prove your words that Vladimir Putin is actually the beneficiary of the whole campaign of expropriation of all your assets, shipyards, mining enterprises and so on? didn’t assist, said a very funny, hilarious thing. He said that if it was Putin who had signed me all of those papers, maybe I should sue him personally and not the Russian Federation. Regardless the fact that Putin at the time signed it all on behalf of the Russian Federation as he was prime minister. Mikhail Sokolov: I understand, maybe you can’t name this document, but is there a document with Vladimir Putin’s personal signature where he insists on the sale of these assets? On the other hand, why couldn’t you say no, just leave and say no? the beneficiary and company management. As I understand, they added the third one to their arsenal. The most interesting is that they’ve of course sent this document to all the defense and law enforcement agencies, ministers and so on, but also to the chairman of the Supreme Court of Arbitration of Russia. Mikhail Sokolov: So that he acted according to it, if I understand correctly? Sergei Pugachev: Yes, so that he wouldn’t accidentally make a legal ruling. Alexei Mikhailov: Were there any personal discussions between you and Vladimir Putin where he did or didn’t ask you about it? Mikhail Sokolov: Did you discuss the price, by the way? Sergei Pugachev: We did discuss the price. And in this matter Putin is a man of the word. We were discussing the price, so I said we should hire auditors, that it was a difficult question, that I’m not ready and cannot tell how much it all costs, because it’s a huge complex. For example, as for the shipbuilding complex, it consists of about 30 enterprises. And I just don’t have an overall estimation. Putin says, “Come on, how much do you think it all costs?” – “I think, about 10 billion all in all.” This is a 100 percent of the above-water marine fleet. At that time only the orders of the shipbuilding complex were for about 60 billion dollars on the arms program, on the Russian fleet development program. Now there is not much money left there, but back then everything was alright. Putin says, “Approximately?” I say, “10 billion.” He says, “10? That’s expensive.” So he calls Kudrin, “What do you think?” – “Give me two weeks, I’ll think about it, count it up.” – “Come on, what do you think, how much?” He says, “Well, I don’t know, 5 billion I guess.” He tells me, “How about 5, is 5 enough?” And I’m thinking, “Better 5 than nothing”. Mikhail Sokolov: And so you made a deal? Sergei Pugachev: We made a deal, yes. Mikhail Sokolov: But who was it that played a trick on you? Not Putin? You are saying he is a man of his word. charge of other projects were put other responsibles like Igor Sechin and others, who I remember since a long time ago. That’s how it happened. Sergei Pugachev: Not a dime. Mikhail Sokolov: For Russians it sounds like a good decision – to have an oligarch’s property nationalized. Sergei Pugachev: The thing is, it might be a wonderful decision but this oligarch never privatized anything, never took part in any privatizations, I haven’t even privatized an apartment for myself, but had it built and bought it up on the marker piece by piece, took loans in the same banks as everyone, then successfully paid them out and so on. In almost 20 years this oligarch has built an empire which was bought from him for zero cents. Here is the wonderful resolution in the eyes of Russians. Mikhail Sokolov: I mean in the eyes of Russians with left-wing views. It’s just that Kakha Bendukidze managed to get out of it in time, when he sold his facilities for money, not for his departure. arrested, as some sources say businessman Dmitri Amunts, although this businessman was a vice Minister of Culture and then a vice Minister, as I remember, of Tourism. For less than a year he has worked in the corporation, I’ve seen him twice in my life. As he told in the court, it’s recorded and protocoled, that they were forcing him to testify against me. They said they would let him go as soon as he testifies. And so he did. Today he was sentenced to 7 years in prison. Mikhail Sokolov: Yes, it’s interesting that they sentenced him to 7 years, exactly as much as the General prosecutor asked, so they didn’t commute his sentence by any minute. It means that probably the authorities weren’t satisfied with his testimonies. By the way, I don’t know if you are aware or not, but the defense attorneys of Amunts himself say it wasn’t him who stole, but you. Sergei Pugachev: That’s not exactly true. I carefully watched the whole process, they didn’t say that I stole. The thing is that one could only steal from me as we are talking about my own money. From the very beginning I wrote a letter saying that I have no claims against Dmitri Amunts, he hasn’t stolen anything from me. There is no legal case there, Dmitri Amunts hasn’t stolen anything at all. For less than a year he was a director of a real estate development firm and then left for government service. But his close corporate relations with investigators was his undoing. I don’t know why a vice Minister would need to communicate with the head investigator who was around him every day and managed to get a confessionary testimony out of him while he was a vice Minister, not an accused and a defendant in criminal prosecution. As he said in the court, they just told him that it’s politics that only concern Pugachev and he didn’t have to get involved, he had a bright career waiting for him in the future. Mikhail Sokolov: Yes, 7 years of prison really do make for a bright career. Roman Shleinov: But could we go back, tell us what did it start from? You had excellent relationships with everybody, you shake hands with Vladimir Putin. Who did you get on the bad side of, let’s not get back to this very old story, who could have you get on the wrong side of, maybe someone from Putin’s circle, like Igor Sechin, or the security cabinet, so that this kind of problems would start for you? Or the problems started after you’ve said you were leaving, you couldn’t take it anymore, you wanted to sell your assets? Kovalchuks and others. I didn’t have any kind of relations with them. We always had a different vision of the future of Russia. And during Putin’s career as a president it started to become clearer and to get rejected. No relations suddenly got damaged, there just weren’t any in the first place, it was just a kind of a necessary union related to the conflict of Yeltsin with Primakov, Luzhkov and Skuratov. Roman Shleinov: Don’t differences in opinions arouse conflicts? You are an entrepreneur, he is the head of the state, he has his entourage that is taking care of business issues. Usually it’s about specific business issues. What could have happened? For example, someone decided he wanted to take upon shipbuilding or something else? What was the point when you suddenly got the feeling that they would start taking from you, or felt that there were other people’s interests involved? It happened for a lot of people that they didn’t see them as some great people and they underestimated them, because it turned out that these people that you’ve known for a long time, that you remember for when they didn’t stand for anything, they are now different and maybe they have bigger appetites. What could’ve happened, which assets did it start with, what exactly did they want to take away from you, get from you, what offers did they make you that you refused? Gennady Timchenko, and nobody had anything to say against it. It’s strange to hear that these accusations concerned only you. Sergei Pugachev: It’s just a different level of relationships between Putin and Rotenbergs, Timchenko, anyone else. It’s just that those are his people, who he had brought with him and made them into the people they are today. With me it’s the other way around. Mikhail Sokolov: So, you are saying you were there before Putin? Sergei Pugachev: Of course, no doubts. never supported monarchism, I was completely liberal-minded. All of my closest entourage, the Russian Union of Industrialists and Entrepreneurs, oligarchs, not oligarchs, politicians, everybody understood it very well, or I wouldn’t be a part of the team of Boris Yeltsin who I highly respect. I believe that he might have not been ready for these reforms but he sincerely wanted the best for Russia, that’s why Gaidar and other people who he didn’t quite understand but sincerely believed in appeared there. Alexei Mikhailov: I can’t keep myself from asking, you mentioned that you played a part in assigning Putin as Yeltsin’s successor. That’s what Berezovsky said as well, and we all know how Berezovsky ended. Are you afraid that the same scenario could happen to you? Sobchak, I imagined Putin to share his democratic liberal views and so on, regardless of numerous scandals that were broken out in Saint-Petersburg while Sobchak was mayor. And still I thought Anatoly Sobchak was shielding with his strong personality Putin’s essence, that’s what everybody thought of him. I really did try to pitch Putin forward, I thought: why not, he had such a good background, he had worked here and there, and everybody knows Sobchak, it’s clear that he is an easy to understand person to us. Nobody knew him, Tatiana Diachenko didn’t know him. I remember that it was me who organized their first meeting, she denies it, maybe she forgot, but it was in her office, I brought him in, said, “Well, there he is, please welcome.” After the meeting she said: “I’m afraid. He is KGB, I don’t want to.” But it still worked out. Alexei Mikhailov: So now, today, you probably think that you were wrong about this person? Or the person has changed while being at power? Mikhail Sokolov: So Putin was good while he wasn’t ripping you off, but then became bad when he led the country in the different, non-European direction, and ripped you off to top it off. this freedom and now want to get back to getting sausages and soap for vouchers, to having guarantees of free housing and other things. Mikhail Sokolov: Does religion play an important role in Vladimir Putin’s life, or did it when you knew him? What if someone convinced him that it’s all God’s will, or maybe he thinks himself to be a vessel in God’s hands and believes that supreme forces will help him save Russia? Is there something mystical like that? we stopped to visit the church, it was his first time. I saw nothing sacred or mystical there. But what I did see was that he once told me that “Russian orthodox church would of course be stronger than any political party whether it be United Russia or else.” And that’s the way it actually turned out. Roman Shleinov: You never spoke up on these subjects before, as long as everything was fine, even when the changes started, they were impossible not to notice. Why did you keep quiet for such a long time? Did it feel like committing suicide, saying something on this matter? Why are you now talking about it as of a revelation? explain something to him, my point of view at least. One way or another Putin can listen but not very well. Nevertheless, it turned out the way it did. Alexei Mikhailov: Sergei, let’s get back to the business story. Mezhprombank lived through the economic crisis of 1998, but it seems like the crisis of 2008 knocked it down. It collected huge unsecured loans from the Central Bank, which it couldn’t pay back, and which they had to convert into secured loans, it collected huge loans from VTB, from Sberbank, and at the end couldn’t pay it all off. Generally, this whole story of Mezhprombank sounds like a typical business story of a bank’s failure. What happened to the bank? small part of it was left to the bank. After that, I suppose the Central Bank had nothing to do but to revoke the license and crush this bank not to leave any traces. That’s the whole story of the bank. Personally, I have nothing to do with it since 2001, I never was in charge of it. Mikhail Sokolov: Were your own assets involved there? Sergei Pugachev: No, I was focused on my own business mostly, communicating with such bankers as Kostin, Gref, Kozmin, Sberbank, VTB. Because those loans – billions of dollars required for implementation of these projects could not be granted by any Mezhprombanks. That’s why my own assets were not involved, but the assets of my companies were involved, naturally. They disappeared, like everything else, they were plundered, as simple as that. Mikhail Sokolov: Probably, the nest question may displease you, however, some of your colleagues, who worked with Vladimir Putin, now say that they had to chip in, so to say, for some projects, slush funds, etc., for a palace in Praskoveevka, like Sergei Kolesnikov with partners used to do it. Did you have such obligations to the system, to Vladimir Putin, that you will pay for something from the money of your own business? Sergei Pugachev: No, never anything like that has happened. Putin asked me to help several times, as a friend, I’d say . It was about a judo club, and such things, nothing more. He was well aware that I was not going to pay for anything, because, as we have discussed before, at the time of Putin coming to power in 2000 or in 1999, when all this was happening, I already possessed everything, long before it happened. Naturally, Putin was well aware that he did not help me in any way with my business during all this time, I have never resorted to him, we were just companions. So he could never approach me with such questions. Mikhail Sokolov: Probably, you did not catch out that palmy time when he started to approach all. Sergei Pugachev: Why, I remember when the Kursk submarine sank, nobody asked me for help, but I sent one million dollars to their families. When, for instance, I was reconstructing a hotel on the Red square, actually was building it, I have invested in construction for service families about a hundred million dollars, i.e. 1,5 billion rubles at the time, that were later successfully pilfered. Mikhail Sokolov: This project on the Red square, the Middle Trade Rows, that has completely flopped, it was taken from you as well and left unfinished? Sergei Pugachev: Yes, Putin asked by the order of President Medvedev to simply close it, and, naturally, promised to pay me a compensation. More over, the decision on compensation was passed at the Government level, and the assets were deposited in the federal budget. It was plainly written there: The money allocated for compensation of nationalization of this project “Red square, 5”. But eventually I did not receive this money, not a single cent. Mikhail Sokolov: And this is also a part of your claim? Roman Shleinov: You were a senator, from 2001 when you left for that state public office, which, actually, implied the implementation of your own stand, including the political one. Being a senator, did you enforce your own views? Sergei Pugachev: When I decided to become a senator in 2001, I certainly hoped that it will be a rather free parliament, an upper chamber, it suited me all right. Because the upper chamber implied that each member of the Council of Federation could , let’s say, come forward with a legislative initiative. In a maximum 3 month it became clear that it was just a gathering of pensioners from among the former governors, etc. Actually, Putin told me about it, that there must be a certain place for them, and in general do not get involved in anything, everything will be OK and we will sort out everything. “We”, meaning all of us, including myself. No need to come forward with bills, if we agree on something we’ll do it anyway. Alexei Mikhailov: For instance, do you remember how you voted on the law on cancellation of the electivity of governors? Sergei Pugachev: You know, I attended the Council of Federation very seldom, even in newspapers they wrote about it, as after a certain period, after 2002, I realized that it was an irrelevant occupation for me, so I practically stopped attending the sessions of the Council of Federation. Mikhail Sokolov: That is, you thought that it is better to practice lobbyism, to contact Vladimir Putin in person and other high ranking officials rather than voicing your stand in public? Sergei Pugachev: I think so even to-day. I think that if somebody has such an opportunity for a moment and he has brave and sound ideas, that would have allowed to prevent Syria, annexation of Crimea, and other things – it would have been wonderful. It is better to realize oneself that way sitting in the kitchen with Putin, than to speak on TV. But if there is no other option, and I do not have it, last time I met with him in Amsterdam in 2013… that is why I am here at your studio. Mikhail Sokolov: By the way, in Amsterdam in 2013 your fortunes were already at a low ebb, what did you tell him? Sergei Pugachev: Я I did not tell him anything special, he knew everything. He said: “I promise, I’ll come back, see into a matter and everything will be resolved. Wicked bureaucrats brake all my orders. Everything will be resolved, they will pay all the money to you. Everything will be as I promised you “. Mikhail Sokolov: You mentioned the words “annexation of Crimea”… You, as a man, familiar to Putin, could you imagine such a turn towards a tough confrontation with the West, annexation, etc. or not? Sergei Pugachev: Yes, absolutely, of course. First of all, it started – probably it is partially forgotten – in early 2000s – it was a group “Most”, Beslan, “Nord-Ost”, just do not forget about these things during the first term of office of Putin. So, of course, I anticipated something like that from him. But you should understand, that I am not quite sure that it is the desire of Putin himself. Putin is a kind of man who due to various reasons may get under the influence of his inner circle. For the moment their number increases. 2018 will show how things will unfold, who will come out on top, will his closest associates win an upper hand or not, will they force him to remain a hostage of their well-being for some more years, or not. Mikhail Sokolov: What kind of well-being? Sanctions are not a well being. Probably, you rub shoulders with some of your own acquaintances, it’s unlikely that they are happy with what is happening with them and their business. Sergei Pugachev: Naturally, I rub shoulders with them, they are not happy. Actually, they are not forced to do anything special. Putin is such a hostage. Or what is an alternative? Alexei Navalny, I fully support him, a wonderful person, I like him very much. More over, you should understand speaking about the past, that Yeltsin, Putin, Navalny – all in good time. At some moment of time this take-over by Primakov, Luzhkov, Skuratov, had to be prevented, I am still sure of it. They wanted to overthrow Yeltsin absolutely illegally, no matter was he ill or not, but it had to be prevented. all in good time. Now, perhaps the time of the young people has come, I hope. We’ll see. Alexei Mikhailov: Do you meet Khodorkovsky there? For us, in Russia, it is all somewhere there, across the border. Sergei Pugachev: For you everything except Russia is one and the same place, I understand. You can say so, we are in one and the same place with him, too. Before his imprisonment I met with him and told him that I suspect, though I was not involved in that story, that he’d better leave for a while, help at least with money to his employees, partners and others. Misha was so over-confident, said that he had met with the American president, literally “if one hair on my head gets harmed , literally, the Navy Seals will land here”. No seals have landed, instead he found himself stitching mittens for 10 years in a colony. I had a huge conflict with Putin, because they, seemingly, the men of the Committee of State Security, were spying on him, and recorded our meeting as well. He told me: “Why do you communicate with him?” – ” And what’s the matter? I myself choose with whom to communicate”. As soon as he was released from prison, we met straight away and spoke about nothing. Mikhail Sokolov: Sorry that we are speaking about Putin and not only about you, but we still want to understand , you have invested in a man who at first felt favorably toward you, then practically made bankrupt, why did you not invest in a system that would protect your rights and the rights of your colleagues? Could it not be done at the beginning of the Putin office, for instance, to defend the system of justice, to prevent the ruin of the Constitutional court, the party system, etc. ? Sergei Pugachev: No, it could not be done. I’ll tell you, that there were attempts on my part, I was ardently fighting for many serious, to my mind, progressive things that could help. In the first place, the independent system of justice, a commission for a reform was set up which at the moment helps many people, because there are some articles of Criminal code and other things that allow to make changes. But this team from Gubcheka, which was brought by Vladimir Putin, has pressed even himself. You should understand that Putin did not deal with all this, neither did I, but the people in localities were very active about it. They sold everything they wanted, and you are living with it now. Mikhail Sokolov: By the way, does Vladimir Putin love money? Mikhail Sokolov: And how did you discover it? Sergei Pugachev: Я I’ll tell you, we discussed it many times. Putin wanted to leave after 2004, we discussed that he must leave office not as poor man, but as a well-off person. He had some dreams, hopes, in general, he wanted to live in the West. Mikhail Sokolov: I am afraid no way now. Roman Shleinov: Was your business supported with state contracts, public contracts? In principle, the Severnaya Verf was such a project, if most contracts were state ones. Sergei Pugachev: Я I’ll tell you a simple thing, Severnaya Verf did not get any projects, I bought a scrap heap, practically, a plant without specialists, the last ice-breaker was built 35 years before I bought these 30 plants. They practiced refueling , so called bunkering of cruise ships and other types of ships. It took me as a minimum 5–7 years to make it start producing war and civil ships . etc. including the largest ice- breaker in the world “50 years of Victory” which was built, however when it was already 60 years of Victory. Finally, we made it. So here, it is not a thing about support, just there was no other place to build it –it was the only place, the biggest center of ship building in Europe. Roman Shleinov: Is it true that the first ship which was built – was the yacht of Vladimir Putin, as a matter of fact? Sergei Pugachev: It was not the first ship. It was a former yacht which was also built on the Severnaya verf, named a Zhdanovsky plant at that time, in 1974, a yacht “Russia” which was built for Leonid Ilyich Brezhnev. We performed a complete reconstruction, meaning the plant, of course, modernized and updated it, we did a wonderful job. But, of course, it was not the first project, a huge number of vessels was built, Practically, everything that was built in Russia for the Navy Fleet, all ice-breakers “Peterburg”, “Moskva” . etc. the largest atomic ice-breaker “50 years of Victory”, the first in the world floating power plant – all this was made at that shipyard. Probably, you are focused too much on Putin, thinking that the Putin’s yacht was the first yacht to be built. No, it is not the first one and was the most simple. That is, very complex specimen of military and civil technology were built there. Alexei Mikhailov: You said that you are a citizen of Russia, but not of the Russian Federation. A question to a citizen of Russia: how do you see the future of Russia? Do you think about it, is it in the range of your interests now, or now you are far removed from it? 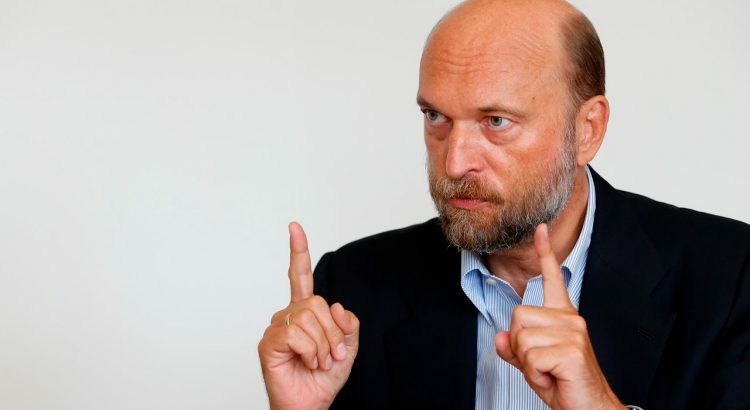 Sergei Pugachev: First of all, I said nothing like that, that I am a citizen of Russia, I am not a citizen of Russia. Mikhail Sokolov: But are you concerned with the future of Russia? Sergei Pugachev: Я I have not been in Russia for 7 years, and before I lived since 1994 in France, and since 1991 in UK. That is why I was very interested in the Russian policy, expected that there will be a very serious foothold for the development of democracy when Boris Nikolayevich Yeltsin has come to power, I was very much absorbed in it. All my family lives in France, and I live in France, too. But I do not read Russia news every day, it does not bother me anymore. In some sense I am more concerned about the elections in France. Mikhail Sokolov: Sergei Viktorovich, and what is your attitude to this nickname when they say: Sergei Pugachev, a Kremlin banker, said that and that? Sergei Pugachev: It is such a commonplace expression like an Orthodox banker, etc.. It is linked with a big scandal alleging that the Yeltsin family opened an account with the International Industrial Bank in early 1990s, Mezhprombank imitated credit cards for them. Then they tried to blame them in some corruption, etc. In real fact this money came from the sale of the book by Boris Nokokayevich Yeltsin, which he wrote together with Valentin Yumashev, he placed the money on the bank account, they – Tatiana, Yelena, Naina Iosifovna and Boris Nokokayevich- opened the bank cards. Since that time a Kremlin banker has come to use. Mikhail Sokolov: Do you maintain contacts with the Yeltsin family now? Sergei Pugachev: Yes, I maintain contact with them. The last time I communicated with them a couple of weeks ago. Mikhail Sokolov: O.K. we will not ask with whom in particular. One more question which I have in relation to your industrial activity. Some time ago I was interested in regions, you had a project in Tuva for coal production, it required huge state money, it all looked rather strange. And it all ended when this project was grabbed by a businessman patronized by Ramzan Kadyrov? Sergei Pugachev: Not quite so as I think. Because this project was grabbed by Vladimir Vladimirovich Putin and presented to Ramzan Kadyrov, though, I fail to fully understand what for. Because the project was very promising at that time and I think that now it is no less promising, but the most important thing is that from the budget line 1,5 billion dollars were allocated on a gratis basis, which after this project was transferred to Ramzan Kadyrov via Baisarov, as I see it, there was a slurry, scandalous story, but we all understand what we are speaking about, this money, 1,5 billion dollars have dissolved via the Russian Railways. I think that this was the whole story. That is, nobody was interested in that coal, we , being engaged in it, on the 2nd-3rd year of operation had extracted about one million tons, the design output was 5 million tons, if to deliver it without the railways. But the state very persistently also in the person of “United Russia” which without any reason suddenly desired to be a political sponsor, insisted on construction of a railroad and tap this money. Yakunin thought that he would build it, but we found the Chinese who would build it 15 times cheaper. Finally they did not allow us to do it and the money got dissolved inside the belly of the Russian Railways. Alexei Mikhailov: Is it a secret for whom will you vote on these days for as a citizen of France? Just interested to know your attitude to the world palette, politics which is currently present at the global level. Sergei Pugachev: To my mind out of those whom I see, my preferences go to Macron, I think that I will vote for him. Mikhail Sokolov: Do you see the right-wing trend in the European policy that is supported by the Russian influence? Sergei Pugachev: No doubt, of course. I’d say that the apprehensions are a little exaggerated. We see Le Pen, who takes loans somewhere in Russia – it is rather funny, but it did not bring her more votes. She has a rather stable rating, which remains unchanged through many years. Russia, of course, tries to exert its influence using some means. This is a sphere of influence, for Russia it is not so important right-wing or left-wing, what is important is that they should be connected with the Russian authorities. Mikhail Sokolov: important that they are for Crimea and against Ukraine? Sergei Pugachev: important that they are for Putin, and , consequently, for Crimea and against Ukraine. Mikhail Sokolov: Say, and in the eyes of your interlocutors, as you , probably, associate with the businessmen, French and international ones, as you had various projects, how does the Putin’s Russia look like after Crimea, and after various interesting adventures in Ukraine and in Syria? Sergei Pugachev: You know, practically it does not look like anything, because for the time being Russia is removed from the agenda, the topic is absolutely irrellevant. I think that if to-morrow they lift the sanctions, something happens, Obama is elected president, then only in 10-15 years you will see the first investments in Russia. Just because it is an absolutely unattractive environment. Mikhail Sokolov: That is, you do not see any risk takers ready to invest in Russia even on the personal security of Putin? Sergei Pugachev: No, I do not see such people. Roman Shleinov: And what has happened in the London court, why it so happened that you finally left UK? I understand there was a certain pressure. Not clear who was interested to pressurize you, if the London court tended towards the Russian party. What happened there, why you had to leave London, why you failed to prove your point in London? Sergei Pugachev: First of all, there were no lawsuits filed against me in London. There were rather funny exotic things, such as interim measures in support of the civil lawsuit of the Russian Federation. Secondly: I did not leave London, as I have never stayed there, I lived in France all my life, but my civil wife and three children lived in London, she is a UK native, her parents live there, all relatives, etc., that is why we had to frequent that place. In fact, I left London, to come back home to France, PR story alleging that I left, escaped, etc, – after an attempt on my life, when Scotland-Yard anti-terrorist unit found explosives with the weight of 1,5-2 kg planted under my and my family’s cars, and also under my kids’ car. We just left for France. That’s all that happened. Mikhail Sokolov was something found out after the attempt against you? Sergei Pugachev: There was an investigation, but after I have removed to France, all materials were sent to the French investigative authorities, and investigations continued. Mikhail Sokolov: There is an order of the London court against you, for your leaving this event, they sentenced you for 2 years in prison, is it true? Sergei Pugachev: Yes and no. The matter is that this is such an administrative trick. If, for instance, the London court would order you not to leave your house and come out into the street, there was such an order in the London court, the lawyers who work for Russia are very sophisticated guys, there was such an order, which prohibited me to use the water transport, for instance, a rowboat in a park. If I sat in a rowboat to ride with kids, they would not wait to give me 2 years in prison. Therefore naturally, when I left, the decision of the court was an administrative punishment, not criminal, for violation of the court decision. I was sentenced to 8 months for it. Mikhail Sokolov: Did you pay a penalty? The quoted amount is 375 thousand pounds. Sergei Pugachev: No, I did not pay a penny, no penalty was inflicted. Mikhail Sokolov: And were some assets confiscated in UK on the basis of a determination of a judge? Sergei Pugachev: No, no assets were confiscated on the basis of a determination of a judge, of course. This is another PR stunt. I made a decision, from my personal assets – this is the only house 30o km from London, a big country house with a big plot of land, as I understood that I will not be able to live under such threat, it was in conditions of investigation of Litvinenko case and other such things, and I made a decision to sell that house. I came to the court, asked – may I sell it, pay all the taxes and take the remaining money. In fact, I sold that house a month ago. For some unclear reason in the Russian Federation, in Russian mass media they wrote that my house was sold and the money was transferred to the fund. Of course, this is a lie, nothing like that has happened. Roman Shleinov: What Russian findings were accepted by the London court, what did it find to be fair, why they began to talk about the need to compel you to something? Sergei Pugachev: No findings were accepted. The matter is that Russia did not file any requests to the London court – these are provisional remedies. More over, without my personal presence. That is, English lawyers came as representatives of the Russian state, the Deposit Insurance Agency, and asked to give provisional remedies. That is, one successfully can get such provisional remedies in a Russian district arbitration court. But as DIA, to my mind, is one of the most corrupted organizations in the Russian Federation, they decided to make such a PR stunt. I think that after that all the bankers shivered. The flow of funds to prevent it happen again has strongly increased. Mikhail Sokolov: According to the rules of our program we must show a poll. What do Moscovites think, is it possible to go into litigation with the Russian state? Mikhail Sokolov: Sergei Viktorovich, what do you think, how in your case if the court will make a positive decision in your favor, how is it possible to make the state of Russia to pay? Sergei Pugachev: I think that Russia will pay the money to me by all means. I do not know how quickly it will happen, there are some procedural time limits. Because the Hague Tribunal operates under the UN auspices, and there is an intergovernmental agreement between France and Russia for protection of foreign investments. It is neither the Energy Charter, nor some second instance courts – this is the main court, which, by the way, was set up at the initiative of Russia before the revolution, Nikolas II participated in its organization. In fact now the Hague Tribunal community includes about 160 states. I do not remember any cases when a country did not pay. I looked through all these data, the statistics. By the way, Russia also paid compensation in the contemporary times, and the Soviet Union did. We litigate under the agreement which was signed in 1976, that is by the Soviet Union. Roman Shleinov: Please tell us how did you get your fortune, playing under the rules of the game existing in Russia, did you get on well with all of them, did you go to them to settle issues, as you yourself say, and influenced personally Mr. Putin, and now you try to seek justice from outside, under some international laws of interpretation of this justice. Is it consistent? That is, you have earned your fortune here, playing according to some unwritten rules, and now you try to apply some international standards to this system. Sergei Pugachev: I do not agree with it. First of all, I did not do anything like that there, I told you that I did not privatize anything, no Putin has presented me anything and I did not buy any YUKOS and other companies at the loans-for shares auctions. Everything that I bought, I bought at first for the borrowed funds and then for my personal funds. I was buying shares of various enterprises. They were medium-sized, small and large enterprises, a lot of different enterprises. Finally, a real empire emerged, which included an enormous real estate development department and the rest. Nobody of power brokers made any presents to me, or grants by an order, just the other way about. Alexei Mikhailov: Sergei Viktorovich, I read that you postponed the commencement of an action to the Hague Tribunal until the consideration of an action of YUKOS. There was a seemingly positive decision for YUKOS, but then everything stopped and hang in the air, in some unclear situation – whether yes or no, but more likely no. Do you think that your chances to win are much higher than those of the Khodorkovsky’s partners? Sergei Pugachev: Я think yes, without doubt. But I did not postpone anything and really did not wait for anything, not for YUKOS, everything was done on time. They started to prepare an action in 2012 , but there were no final decisions of Russian courts. Therefore, the moment of expropriation is counted from the last effective judicial body, that is the Supreme court of the Russian Federation, and it mostly happened in 2014. And on September 21, 2015 I filed my action, and hearings have already started. As for YUKOS, I think that the main problem is that from a purely legal point of view, as far as I understand, as I did not get to the bottom of YUKOS case, that the Russian parliament did not ratify the Energy Charter and among the main shareholders there are no foreign investors. By the way, in the case of YUKOS and foreign investors, I know, that there were Spanish investors, American investors, and they got their money via the Hague Tribunal under the same system of protection of foreign investments, under which I litigate with the Russian Federation at the moment. Mikhail Sokolov: There are people who now drop in to Vladimir Putin we know them – Messrs. Rotenberg, Timchenko, probably, Abramovich no longer drops in. Why they are not touched, if it is so profitable? Sergei Pugachev: First of all, it is not so. In spite of my geographical distance, I am closer to these people, and I have an idea what is happening there. They tell me various stories, they are touched, and you see what is happening with Yevtushenkov and others, the re-division of property is going on, because the money is dwindling. It is a big mistake to think that all who are on the Forbs list, just live a secure life, idle away their time, cruise on the longest yachts. In real fact, a terrible covert war goes around Putin, plus anticipation of the future, what will happen, will there be a change of power, etc. These clans – Sechin’s, Medvedev’s, Ivanov’s, and others – it’s all very serious. It is not a secure life, nothing is guaranteed. Mikhail Sokolov: And did you take into account the experience of Boris Berezovsky, a rather sad one? Sergei Pugachev: Я I do not see any linkage. I knew Boris Abramovich very well until 1992, roughly speaking. There is nothing in common here. Boris Abramovich has never had something in common to that in spite of this PR action alleging that he appointed Putin as president. I communicated with him until the last moment, in London. He did not conceal it, we discussed it many times with him. Yes, once he said that he became very lonely after the death of his partner, Badri. I have nothing in common with his situation. Mikhail Sokolov: Do you believe in his suicide? Sergei Pugachev: No, not much. Because a couple of weeks before it has happened, he was really out of funds, he even had no money to buy tickets to fly to Israel , etc., but in a couple of weeks his assets in France were unfrozen for a sum of about 300 million. Therefore, even when he was out of funds, he did not lose heart, probably, drank a little bit more than usual, and when he got 300 million, and at that moment 300 million for him was like 300 billion, therefore, I do not understand, what was the reason for him to put his head in the noose. Mikhail Sokolov: Are you doing some business in the West, or you are a pensioner? Sergei Pugachev: Probably, I am mostly a pensioner now. I have adult children who are 35 year old, they are doing business, new technologies, they produce all types of medical devices and such things. I am focused on legal proceedings now. Mikhail Sokolov: In principle, can a Russian citizen who has left Russia with some assets, go into business in a normal way? Sergei Pugachev: I’m sure that yes. He will need some things for this, such as to know the language and the like. Mikhail Sokolov: You said that you have realized your errors with Putin , etc. and you also said that you are an Orthodox believer , and in Orthodox religion the repentance is very important. In your case, is an active repentance possible or you are focused only on your personal destiny? Sergei Pugachev: Of course, not. I think t I am doing now, including my participation in your program is partially a repentance in my actions. I would not say that I regret what Putin has done – it is his personal responsibility. What I surely regret – that in 1999 – I was much younger and I was sure that we knew much better than the common people who must be the president. I, for one, was confident that I know better what is good for the common people. I’d say that even if communists had won, they would have been re-elected in four years and some democrats would have came to power. This is what I strongly regret.